I really like the stark, illustrated look you created. Very cool image! 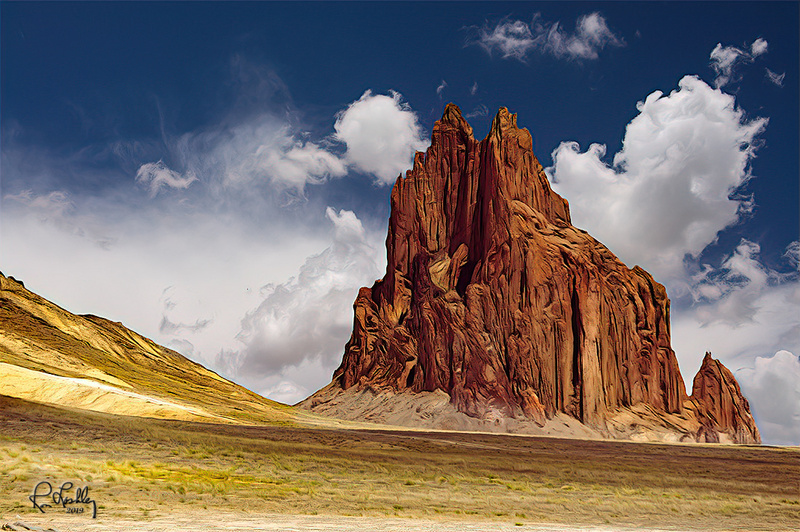 I’ve passed Shiprock many times in my travels, but; this image shows it at its best. Find the wall that this photo belongs on. I have a lot of my artwork on walls now. I may replace a couple this year but likely will use new artwork. Thanks everyone for all the comments. BTW, I use two types of displays and the one I use most is Xposer from Bay Photo labs in CA. https://www.bayphoto.com/wall-displays/xpozer/ A second type cost more but can be really nice for some pictures. Its called Fracture. https://fractureme.com Both are US based.